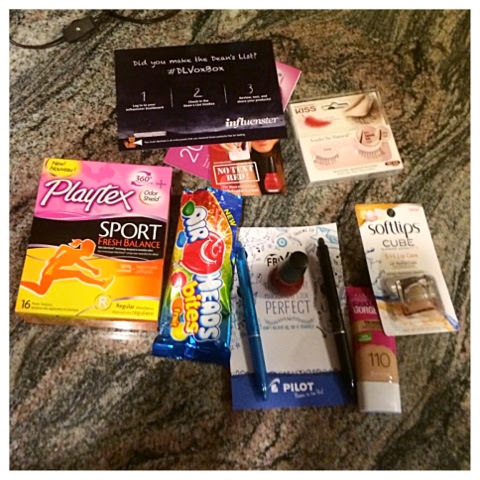 Makeup and Beauty : Influenster DLVlox Box! So, I recently started using this website called influenster.com. It is really cool. 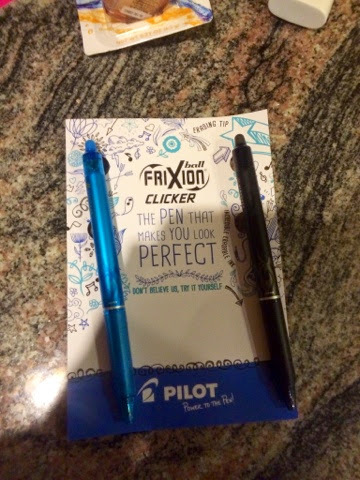 They send you free stuff to try as long as you fill out surveys and blog about it. I actually really like this website. I would not have made this post if I thought it was a waste of time. Ohh, and did I mention it is FREE. They send you some pretty nice stuff for FREE. Here is a picture of all of the cool stuff I got. All together, I got about $30 worth of stuff. I was so excited when I got this in the mail, because it was so unexpected. All I was expecting was my haribo candy I ordered from Germany, and BAM I got a nice free gift in the mail. The first product I pulled out of the box was the new scented Playtex Sport tampons. 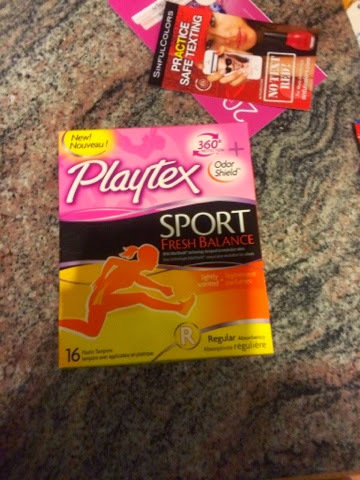 The regular Playtex Sport tampons are my favorite, so I will love these new ones. Next thing in the box were these fake eyelashes. 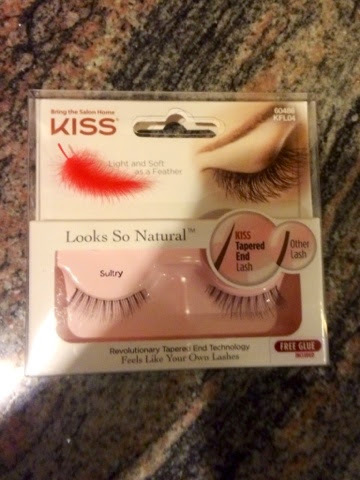 I have not tried these out, but I love falsies, and I will post a full review of these later. 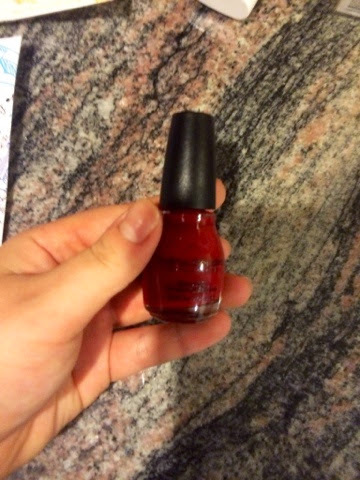 I also got this pretty red nail polish. It is a perfect color for fall time. I got a lip balm. 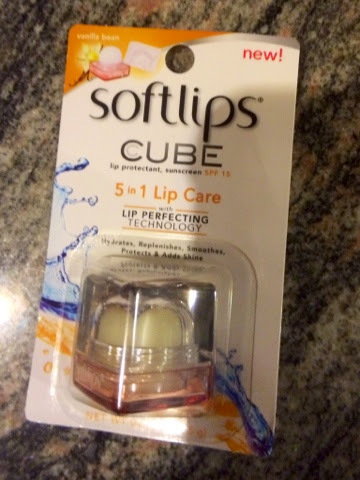 This lip product is decent, but I would not purchase again. I will use all of it, but it is not as moisturizing as I had hoped. 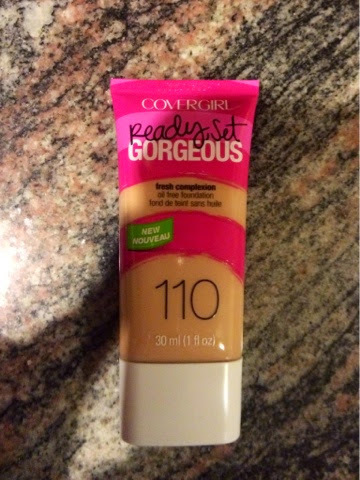 I also got this foundation that I LOVE. I was so surprised. I am such a makeup snob, but I tried this out and it is awesome! I will post a full review of this later as well. I can not believe that I like this $8 foundation this much. I am so surprised. I also got these erasable pens. They are pretty cool. I feel like they were a little random, but hey free pens. I also got some candy that I did not take an individual picture of. It was decent. I ate it, but wouldn't go purchase it again. Words can not describe how much I love this foundation. I am so impressed. All of my other foundations are Doir, Kat VonD, and MAC. I will post a full review of this product later. Anyway, go sign up at influenster.com. It is free and they send you stuff. It is awesome. Thanks for reading friends. I will see you next time.